Therapeutically contoured and designed by health professionals to give you the perfect neck support & alignment a memory foam pillow can offer. Two easily removable/re-workable inserts allow you to change the shape and height to suit your comfort and postural needs. Luxurious pillow in natural latex rubber – From the rubber tree. Therapeutically designed and gently contoured pillow. Sumptuously soft & wonderfully supportive. Pure latex won’t sag or lose its shape. Encourages a restful sleep, naturally. The world’s best latex pillow! 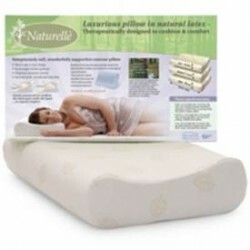 Designed for all sleeping positions and physiques, the all-natural, high-quality Naturelle latex pillow conforms to the shape of your head and neck to provide continuous support throughout the night. Made of natural latex, from the rubber tree, these wonderful pillows never require fluffing, maintain their shape and provide maximum air flow, preventing moisture and heat build-up. One week of daily harvesting from 30 rubber trees produces enough latex for just one pillow! Low Profile: Designed to support kids from 5 years, & adult back sleepers. 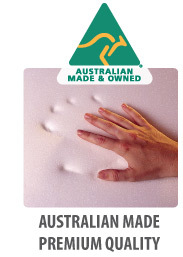 Medium Profile: Suits average physiques, and also those seeking a ’normal’ sized pillow. High Profile: Suits side sleeping, broader shouldered physiques, and for those of average physique who prefer a higher pillow.